Like Greece and Troy, Rome and Carthage, or Norman and Saxon, the clash between the tribes of the Israelites and that of the Philistines has been one that has captured the fascination of Biblical scholars, historians, archaeologists, and professors. Historically, this clash found itself playing out along a narrow strip of land set against the shores of the eastern Mediterranean Sea and into the heart of Eretz Yisrael in the days of the Judges (i.e. Samson), and later during the time of King Saul and King David. Biblical accounts of this struggle are well documented. For the players in this conflict, the Bible provides us a picture of what type of people the Philistines and Israelites were, where they lived, names of their kings and cities, how they fought, their military strategies, and what deity/deities they worshiped. 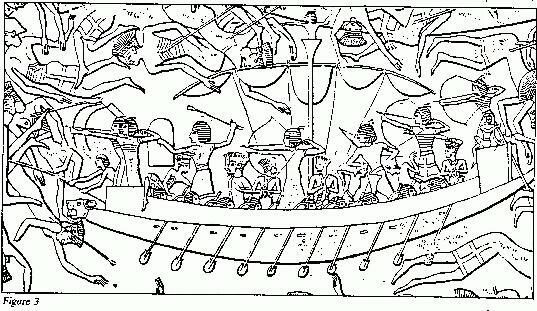 Although many historians and archaeologists commonly believe the Philistines to be the illustrious “sea peoples” with their arrival from Crete or other parts of the Aegean, this brings about major complications and does not fit with scripture or realistic possibilities in those days. The “sea people” are seen as a “loose confederation” of people who originated either from the Aegean or Asia Minor and essentially sailed south due to famine and drought. This is depicted in reliefs in Egypt (i.e. Karnak, Medinet Habu, etc) and records that show a people invading northern Egypt, bent on conquering it. But who were these people? Many ideas and theories have been pitched around, but one of the most common is that the “sea people” (or a large segment of them) are unanimous with the Philistines who left Crete/Asia Minor in the 11th-12th century B.C. (time of Merenptah and Ramses III) and tried to settle in Egypt. The belief is that after Merenptah halted them in a bloody conflict, Pharaoh Ramses III finally blocked their way and engaged the sea people in a massive sea battle which the sea people eventually lost and therefore settled along the north coast and established Syro-Palestine (Land of the Philistines) and added their five major cities. This has been the idea of the settling of the Philistines into the land. This theory has a number of major issues though which bear some holes. Although I am not debating the origins of the “sea people” I merely seek to start off upon their intended invasion of Egypt and the problems that arise once one attempts to explain them in terms of being Philistines. First, the original reliefs are really divided into three major ones which are the most popular. One depicting the “sea people” engaged in a bitter sea battle with Egyptians (from Ramses III period), the second showing war-carts on land, and the third revealing prisoners of the “sea people” being led away. The first and third relief mentioned, are pretty self-explanatory, a battle happened, one side lost and was led away in chains. 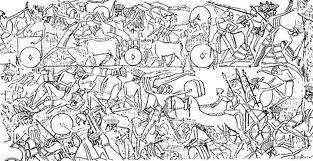 However, the complicated issue is in the second relief of the war-carts drawn by oxen. This relief depicts the “sea people” as having many war-carts that are drawn by large animals as they gather on land for battle, yet the actual battle was fought at sea. The relief however, shows carts deployed for war and “sea people” filed into rank as they advance. So, this naturally begs the question of how did they get the carts over to Egypt? There are two possibilities. #1 They either would have had to try to sail them across, or #2 they simply crossed hundreds of miles of hostile land with all their carts as they headed for Egypt. Both are very difficult to swallow. Given the amount of ships needed for such an undertaking, the “sea people” would have had to double their fleet just to carry the carts, livestock, and supplies needed, especially animal feed. Along with this, if they were looking at resettling they would have had wives and children with them in the thousands. These people could never have been present for such a battle and so would have had to be left somewhere until after the battle, unless the army sailed without them intending to return to collect their populace once the battle had been won. Whatever the reason, major complications arise. Thus, the only explanation for ships and war-carts being depicted on different frescoes, of the same people in the same time period and supposedly during the same event is possibly that there were two battles: one at sea and the other at land. Another hypothesis is that the “sea people” engaged the Egyptians at sea with a land contingent that never actually fought due to the defeat. However, the presence of the war-carts does raise issues in still explaining their presence to begin with as they would have been brought by the “sea people” or possibly provided by an allied contingent. But this begins to change the story of people sailing across the sea to find new land in Egypt. Although this does not in fact disprove the “sea people” from being Philistines, this however demonstrates the difficulty in placing this people into the developed world of the Philistines, or make it plausible to forgo such an undertaking as settling the land after the near destruction at the hands of the Egyptians. The “sea people” are also depicted in the frescoes as having feather head-dresses fixed to helmets, and unique sword styles. 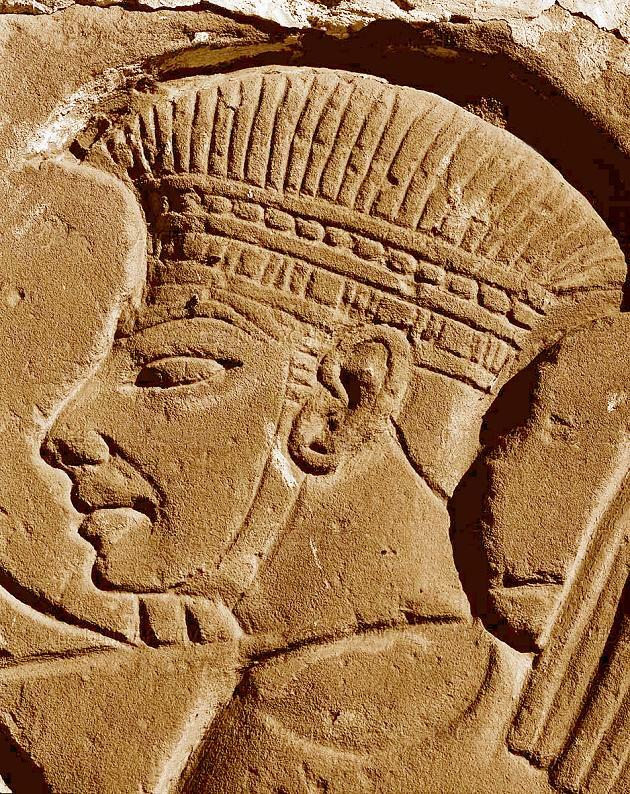 They are beardless and are fierce as they slaughter many Egyptians before eventually being outnumbered and overwhelmed. Although nobody has been able to state with absolute certainty where they actually originated from, it is possible they held alliances with the Libyans and also made up many small tribes from the north. There is a possibility they may have influenced Philistine culture along the coast, but nothing substantial as Philistine culture was firmly planted and we will explore that a little further. Yet, I do not wish to rule out future developments and cultural changes through trade, merchants, etc in Philistine culture as this evolution is prevalent through pottery discoveries and art (i.e. Cypriotic pottery at later dates). The final evidence that the “sea people” cannot be the Philistines is that these theories do not take into account the Biblical history which places Philistine tribes already living in the land as natives. This is seen in scripture as Abraham interacts with them, Samson fights them, Saul is slain by them, and David joins them for a time before becoming King of Israel. More than likely they had Semitic roots, like the Canaanites, with linguistic similarities, and over time bands of them settled along the western coast and established their cities. We know they where there at the time of Moses (Ex. 13:17) as the Children of Israel were not to go the easier route through “the land of the Philistines.” Therefore, the Philistines were a nomadic, native, tribal people who dwelt in parts of the land and eventually settled en-mass along the coast to become Israel’s sworn enemies as they contested over land and power. The Israelites are a unique nomadic people who after the exodus from Egypt and the forty wandering years enter the land under their new commander Joshua ben Nun. 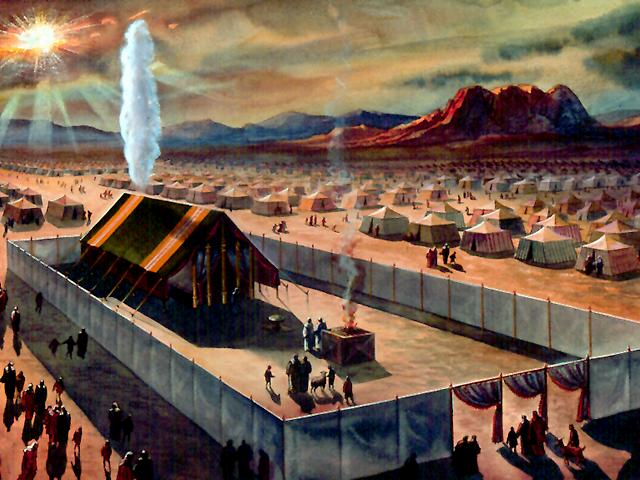 The Israelites trace their ancestry through their forefathers, Abraham, Isaac and Jacob, and are divided into twelve tribes (named after Jacob’s sons), have specific marching orders, a leadership system of elders and priests, roll calls for eligible military service among the men by tribe, worship one God, follow the same religious worship, and circumvent a tent like structure which is called the Tabernacle, when they set camp. As nomads, the Tabernacle is able to be packed up and transported to its next spot where it will then be set up again. The Tabernacle is like a mobile temple and bears sacred furnishings and specific calculations in how it was to be made, appear, set up, and taken down. The Tabernacle becomes the focus and center of the Jewish faith as priests form the tribe of Levi preside over it, and it is to contain the Ark of the Covenant (mercy-seat) which is where God’s glory resides in the camp. However, throughout time the tribes of Israel invade the land that is promised to them by God, and through years of hard warfare, become experienced in war. Pagan kings, cities, tribes, and armies are crushed and the Israelites settle the land. But, after the death of Joshua ben Nun, it is clear that some of the tribes do not follow God’s commandments to fully conquer the land and they allow enemies to live, take slaves and seize possessions when they are to kill and destroy them, and over time begin to feel the backlash as those enemies become powerful once again. Thus enters the great rival and enemy of Israel in her early days, the Philistines of the eastern coastal plain. Despite similarities between the two, there is still a major difference and that is the idea of, who is God? Like I mentioned, the Bible is an excellent tool in exploring who the Philistines were and who their gods were. In scripture we see one Philistine god rise above the others, Dagon the chief god. In Judges 16:23 we see the victorious Philistine lords and nobles take the captured Samson to place him as a human trophy before Dagon. It says, “Now the lords of the Philistines gathered together to offer a great sacrifice to Dagon their god, and rejoice.” Moving ahead in the story we come to verse 27 which states: “Now the temple was full of men and women. All the lords of the Philistines were there – about three thousand men and women on the roof watching while Samson performed.” They had gathered to mock Samson, but more importantly to present him to their god, Dagon, as a war trophy and proof that Dagon was stronger than the God of Israel. We see they brought Samson to the temple of Dagon and states in verse 25 that their hearts were merry, meaning they were drunk. In paganism it was common to drink and eat to the gods and toast them before a spectacle or offering. We see the same idea in 1st Chron. 10:10 where they put the suits of armor from Saul into the temples to their gods and fastened Saul’s head in the temple to Dagon as an offering which was a very common thing to do in those days. Yet, in this case of Samson, he was the offering and they were praising Dagon for defeating their enemies. Samson, however, ended up praying to God, receiving his strength back and collapsing the temple by pushing out the pillars. Who was Dagon? 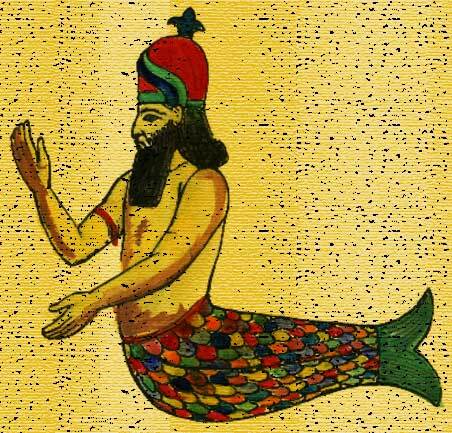 Originally, Dagon had Assyro-Babylonian background as a fertility god that later spread into the Semitic west. The promotion of gods and goddesses was rampant in those times and easily spread through conquests, trade of goods, slaves, and other means of traveling people. We also see the locality of gods over certain area s and cities, like Baal and Asherah. Dagon eventually became such a locale deity of the Philistine people and in the Bible we see the effects and widespread worship of Dagon, not just in one or two cities, but as a national expression throughout the Philistines as a people group. Finally, as a fertility god, Dagon most likely had purpose in crops and as a provider of food and nourishment. Dagon also came to be expressed as a god of fish, although this tradition developed later as at the time of the Philistines we see in 1st Samuel 5:4 that when the god Dagon fell, “The head of Dagon and both palms of its hands were broken off on the threshold; only Dagon’s torso was left of it.” And what fish has palms and a torso? Although some say the image of Dagon may have been part man-fish (like a Centaur) there is nothing which says this was the belief held by the early Philistines until the fish-god adoption by later maritime Canaanites. Setting Indiana Jones aside, the Ark of the Covenant was real and the most holy object in the Tabernacle (and later Temple’s) furnishings. It was built of a specific type of wood called Acacia wood, was inlaid in gold, with a lid that sealed the box. Upon the top were two shaped images of cherubim (angels) covered in gold, and through rings that were built upon the side of the ark were poles that would slide through for carrying. These specific instructions were given for the construction of the ark, including its exact size as seen in Exodus 25:10-22. It was also to be carried only by priests of the tribe of Levi (Deut. 10:8, Josh. 3:3). The ark was a holy, sacred symbol (Josh. 3:17, 4:9, 4:18) which represented God’s glory (shekinah) amidst the people of Israel, and this was not to be treated lightly. This explains the purpose of the ark to be separate and treated differently, and symbolized God’s judgment and mercy upon His people. 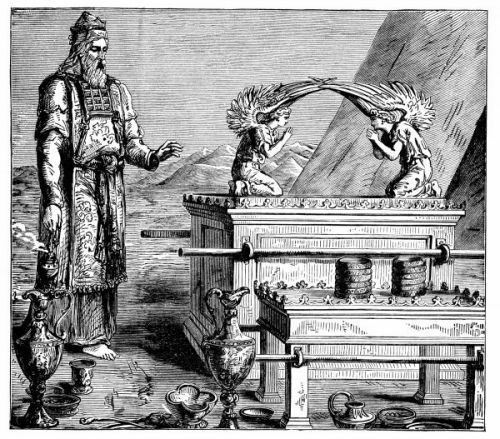 Some common Biblical facts about the Ark of the Covenant. #1 It was to be carried ahead of the people (Josh. 3:6, Num. 10:33). #2 The Ark of the Covenant also had the role as a military icon standing for God fighting the battle for Israel (Josh. 6:6-8). #3 Some of the Israelites came to see it as a magical charm in war because its presence terrified the Philistines, thus they treated it lightly and incurred God’s wrath (1st Sam. 4:3-5). 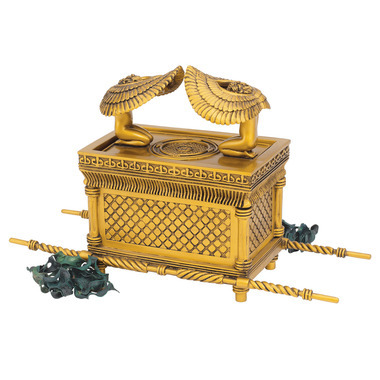 #4 The Ark of the Covenant contained sacred items to the Jews and part of their history (Deut. 10:25, 1st Kings 8:9, Heb. 9:4). #5 The Ark of the Covenant was in Shiloh for 369 years before being moved to Jerusalem (Judges 20:27, 1st Sam. 3:3; 4:3, 1st Kings 6:19, 8:6). #6 King David wanted to build a Temple dedicated to God to place the ark inside it (1st Chron. 17:11, 28:2) and before this the ark was kept inside the Tabernacle (Ex. 26:33; 31:7). Now, lets examine one of the most famous stories in the Bible where Dagon and the Ark of the Covenant meet. However, keep note that the Philistines, at this point, had grown to fear the Ark of the Covenant (1st Sam. 4:6-9) as they believed it to be a powerful, supernatural weapon the Israelites carried into battle. As accustomed in those days, often times before a battle, armies would bring their gods, charms, or hold sacrificial ceremonies in honor of their gods. So in the case for the Israelites to do the same, it was completely normal. Except that in the case of the ark, it was not to be paraded around like a good-luck charm or some trophy and because of the arrogance and recklessness of the Israelites we see in 1st Samuel 4:11;4:17-22 that the Philistines end up defeating the Israelites and capturing the ark. After defeating the Israelite army we see an interesting play of events. The Philistines first take the ark as a trophy and seek to dedicate it to their god, Dagon. This was a typical thing to do in that day as a symbol of dominance, for as much as people were fighting against themselves, they also believed that the gods in the heavens were in constant competition. Thus, for Dagon in the eyes of the Philistines, he was tougher and mightier than the God of Israel. So, we see the Philistines bring the Ark of the Covenant first to the city of Ashdod (1st Sam. 5:1) and they set it in the “house” or temple to Dagon. But, in this case they did not just put it in the temple, they placed it directly beside the image of Dagon as a superiority complex and boasting as the victors (1st Sam. 5:2). What happens next would have been a terrible shock to the Philistines for in verse 3 it says, “And when the people of Ashdod arose early in the morning , there was Dagon, fallen on its face to the earth before the ark of the LORD. So they took Dagon and set it in its place again.” The interesting way this is recorded does not show the people’s shock and surprise at first, although it most definitely would have existed. Most likely the first ones to stumble upon this would have been priests or magicians of Dagon. These men would have held sway over the minds of the locals and no doubt would have perceived this as a bad omen. What happens next is stunning. A plague breaks out in Ashdod as described in verse 6 as “the hand of the LORD was heavy on the people of Ashdod, and He ravaged them and struck them with tumors, both Ashdod and its territory.” So plague and suffering broke out beyond the borders of the city and people were affected by this. God was judging the pride, arrogance, wickedness and folly of the Philistines for treating Him lightly and scoffing His name. God had already judged the Israelites for treating Him lightly as they were hugely defeated in battle, but now it was the Philistines turn. As we continue we see the Philistines get absolutely desperate. They know and feel the power of the God of Israel, yet at first they think it is a local power that burns against them, as if perhaps it was the sacred ground and region of Ashdod that somehow insulted the Jewish God, and by moving the ark will solve the problem. So, they send it to Gath in verse 8b, yet the same thing happens there. Here we see the pride of the Philistines and stubbornness to relinquish the ark for it is not only their war trophy, but by surrendering it is them saying that the Jewish God is more powerful than Dagon. So, they send the ark to Ekron, yet the people there, who have no doubt heard of all the tragedy in the other cities, cry out to send it away but it is too late and many are stricken and die (1st Sam. 5:10-12). The opening of 1st Samuel 6:1 gives us a time frame to work with of how long the Ark of the Covenant was in the hands of the Philistines. It states, “Now the ark of the LORD was in the country of the Philistines seven months.” Obviously the hand of the Lord burned upon them and plague continued to spread and devastate the people for we see in verse 2 of chapter 6, that the Philistines finally call for the priests and ask of them what they should do with the ark. Here we see the priests finally coming to grips with the power of the God of Israel and their fear. They know it has to be sent away, but to their understanding, appeasing the gods is always a smart move and so in verse 3 it states, “So they said, ‘If you send away the ark of the God of Israel, do not send it empty; but by all means return it to Him with a trespass offering. Then you will be healed, and it will be known you why His hand is not removed from you.” This loaded passage gives us a glimpse into the understanding of the pagan Philistines and pagan culture of that time. The priests have attributed their suffering to the relic of another God, a common superstitious belief in those days. They therefore naturally wish to appease the deity and send it back, not just to the people, but to God! They misconceive the purpose of the ark and no doubt believe it to be an idol of the Hebrews. They also identify the land with the deity (God of Israel) as His domain and believe that once the sacred relic is united with the land and people then it will cause the deity (God of Israel) to relent on His anger and heal them. The priests and Philistines realize this is a matter of life or death and actually believe that they will be healed once they send it back, and so, with much haste the Ark of the Covenant is safely delivered to the Israelites at Beit Shemesh. If you have any insights on this article, please leave your comments. This entry was posted in Ancient Warfare, Canaan, Canaanite, Hebrew, Israel, Jews, mythology, Philistines and tagged Ark of the Covenant, Dagon, Ekron, Exodus, Gath, Jericho, King David, King Saul, Levites, Philistine, Philistines, plague, Priests, Samson, Tabernacle. Bookmark the permalink.